This set of selected statutes and regulations offers maximum flexibility and ease of use for law school courses in corporate, partnership, and business enterprise taxation. 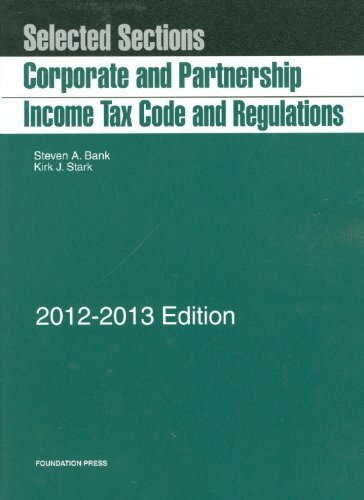 The 2012-2013 Edition takes into account recent legislative and regulatory developments occurring in 2011 and prior years under Sections 302, 331, 355, 358, 368, 381, and to the regulatory definitions for business entities under 301.7701. The content is current through March 15, 2012. Steven Bank is a professor of law at the University of California, Los Angeles, School of Law, where he uses history and finance to explore the taxation of business entities in the United States and other countries.